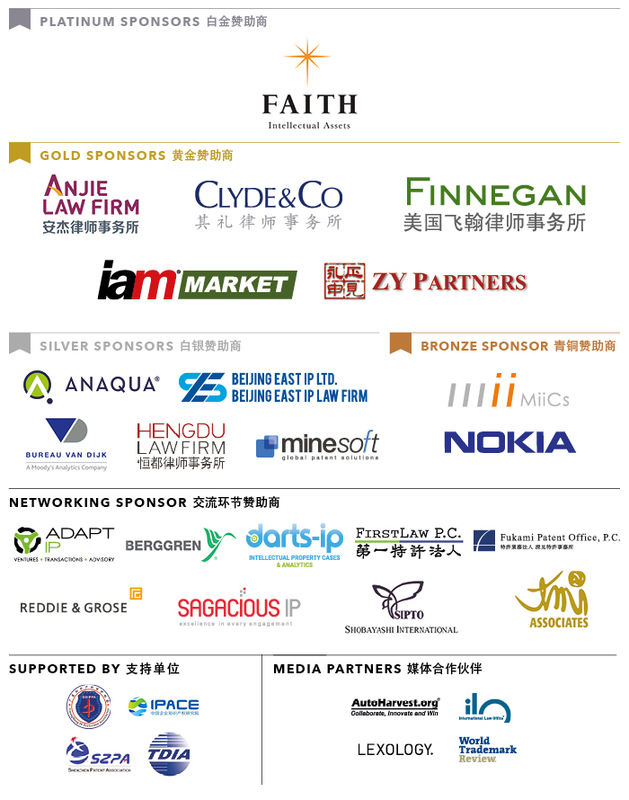 Following the huge success of IAM’s China-focused IPBC events over the past five years, we are pleased to announce that IPBC Shenzhen was held on April 20 2018. As China’s powerhouse for industrial, R&D and commercial activity, the sheer concentration of leading IP-owning companies makes Shenzhen the perfect location for IAM’s dedicated China event in 2018. Through a packed, fully bilingual, one-day programme, IPBC Shenzhen tackled the IP policy developments, market trends and commercial pressures affecting both Chinese enterprises expanding their operations overseas and international corporations expanding their businesses in China. With a dynamic audience of 200+ senior IP executives from leading domestic and international corporates, research institutions, government agencies and representatives from the broader IP value creation community, IPBC Shenzhen offered an unparalleled opportunity for learning, networking and deal making. For more information on IPBC Shenzhen 2018, please contact Bing Zhao on +852 9751 2206 or bzhao@GlobeBMG.com.